Even if you have a brown thumb, you can become a master at sprouting with just a little information and the right growing medium. Sprouts are truly living foods. Once a seed is germinated or “awakened,” its nutrients are released and become more available for absorption. Sprouts are easy and inexpensive to grow, and an indoor sprout garden can yield a harvest in just a few days at any time of year. Perhaps the easiest way to begin sprouting is to use a wide-mouth quart or half-gallon glass jar, covered with cheesecloth, nylon net, screen wire or a sprouting jar lid. An advantage of the jar method is the availability of cheap (or free!) glass jars. 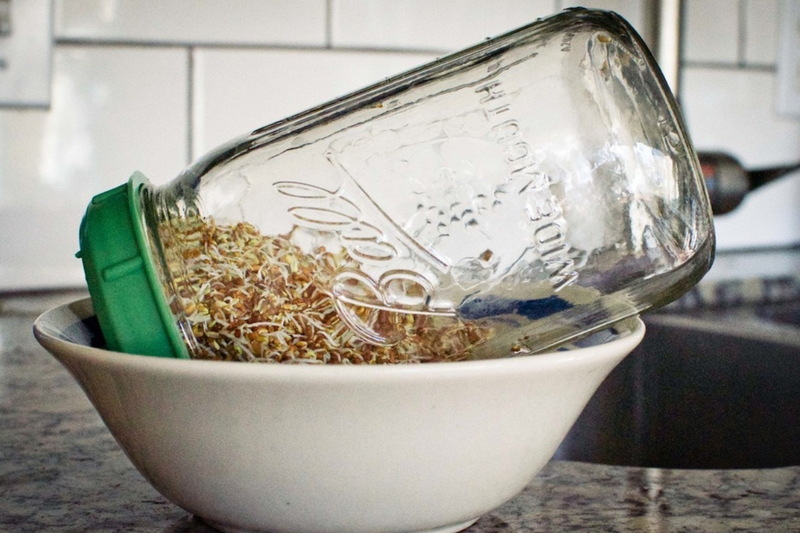 The jar method works well for vegetable sprouts such as alfalfa, broccoli, fenugreek, mustard and sunflower. You can also easily sprout nutritious “weed” seeds—such as dandelion, lambs quarters and sorrel—in a jar. Pour the seeds into your container, discarding any that are broken, chipped or discolored. Add twice as much purified water as you have seeds. Avoid overfilling the jar with seeds, which can lead to inefficient drainage and poor air circulation. Soak smaller seeds for four to six hours, larger seeds eight to twelve hours. When soaking is complete, invert the container to drain off soak water and rinse the seeds. Prop the jar up at a 45-degree angle so that any excess water will continue to drain. While it’s best to avoid direct sunlight, your seeds don’t require complete darkness. During the time that your seeds are sprouting, rinse them twice a day, remembering to return the jar to the angle position for draining. As a general rule, once the “tail” of the sprout is 1 ½  times as long as the original seed, it is ready for consumption or planting. Store sprouts in the refrigerator, making sure they’re well drained, but not dried out. Select a storage container that will allow them to breathe. Rinse the sprouts every second or third day so they stay moist: They will keep for a week or longer. Another easy technique is to use a sprouting bag. Typically made from hemp, cotton, linen or plastic mesh, the bag method is very well suited for sprouting grains and beans such as chickpea, green pea, kamut, lentils, mung, hard and soft wheat. Bags are handy because they take up little space and travel well. To use a sprout bag, follow the directions for soaking as outlined for jar sprouting. Pour the soaked seeds into a sterilized sprout bag. Rinse two or three times a day by immersing the bag in purified water. Hang the bag on a hook or lay it in a dish rack to allow drainage. You can store mature sprouts in the refrigerator right in the sprout bag. Rinse the sprouts every second or third day so they stay moist: they will keep for a week or longer. Open trays. Good for growing grains and grasses or other light-seeking sprouts. 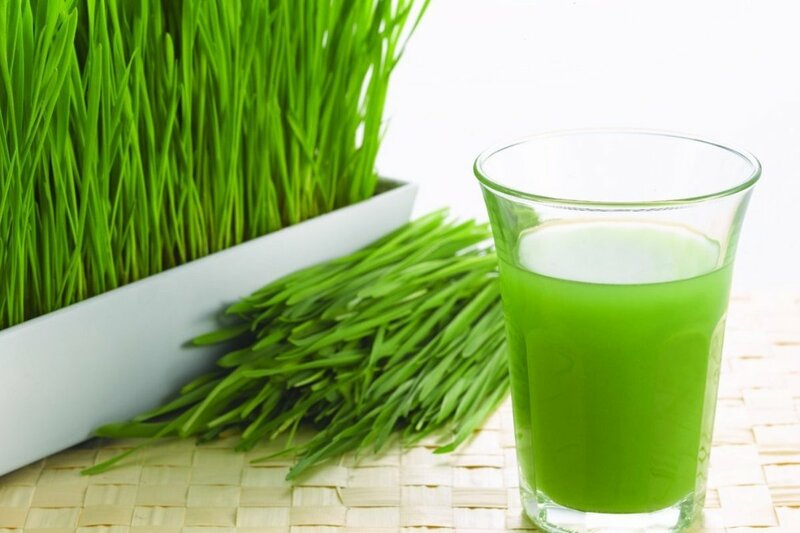 This method works well for rye, hard wheat (wheatgrass), buckwheat. Ordinary cafeteria trays can be used for this purpose. Paper towels. 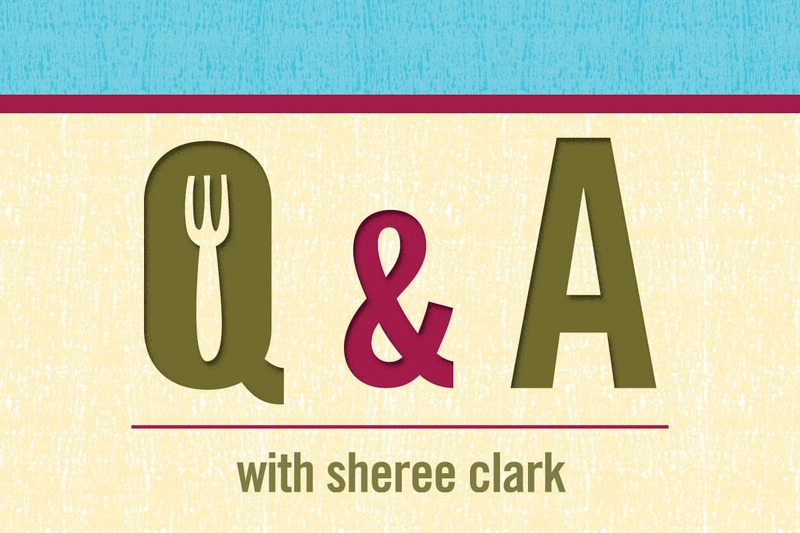 Small seeds can be sprouted on unbleached paper towels, including mustard, radish, chia and teff. Commercial sprouters. A variety of different sprout containers—usually plastic—are available to help you get started. Some models can be stacked to save space. Prices range from $10 to $30. Automatic sprouters. A wide range of automatic sprouters are available commercially. Ranging in price from $50 to $300 and up, these machines offer convenience and may result in increased crop yields. Give ‘em a boost. Liquid plant nutrients can be added to the soak water to give the sprouts extra nutrition! And another boost. You can mist the sprouts with a diluted nutrient solution after rinsing. Try a few drops of liquid kelp in water, or use another organic plant food. Size matters. 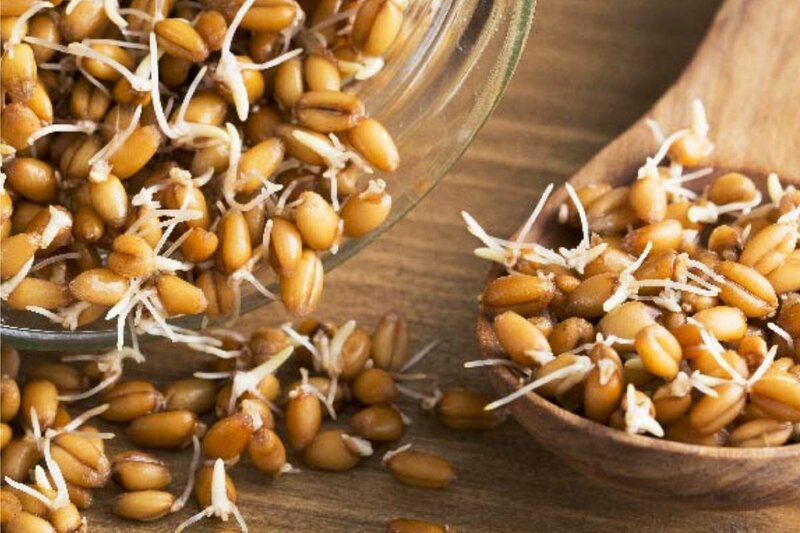 Some seeds can increase up to 30 times in size when sprouted. For best results, give your sprouts room to grow. You’re all wet. Sprouts need fresh water at least every 12 hours, and more frequent irrigation if the weather is hot. Consistency is key. Keep it clean. Your sprouting container or device needs to be free from bacteria–be sure to clean it thoroughly after each use.